Our Christian witness at the heart of Cromhall serves our community by sharing faith and values, by worshipping together and through our wonderful church building. All of this however has a cost, which is largely met by regular personal donations. For the church to survive and grow, we rely these financial gifts so that we can plan confidently for the future. Over the coming few months St Andrew’s Church will be moving to the Parish Giving Scheme (PGS) as the method by which regular donations are collected. PGS is a 21st century solution which will improve the efficiency, safety and confidentiality of personal giving to St Andrew’s and has advantages for both individual donors and the Parish. The Parish Giving Scheme was created within the Diocese of Gloucester in 2009 and has since been endorsed by The Archbishops’ Council. It has been part of a joint venture charity since December 2014; that it is a separate charitable limited company, wholly owned by dioceses who have joined as members. The PGS is actively promoted by an increasing number of dioceses as their preferred way of giving. Several other parishes in the area are already using it successfully. 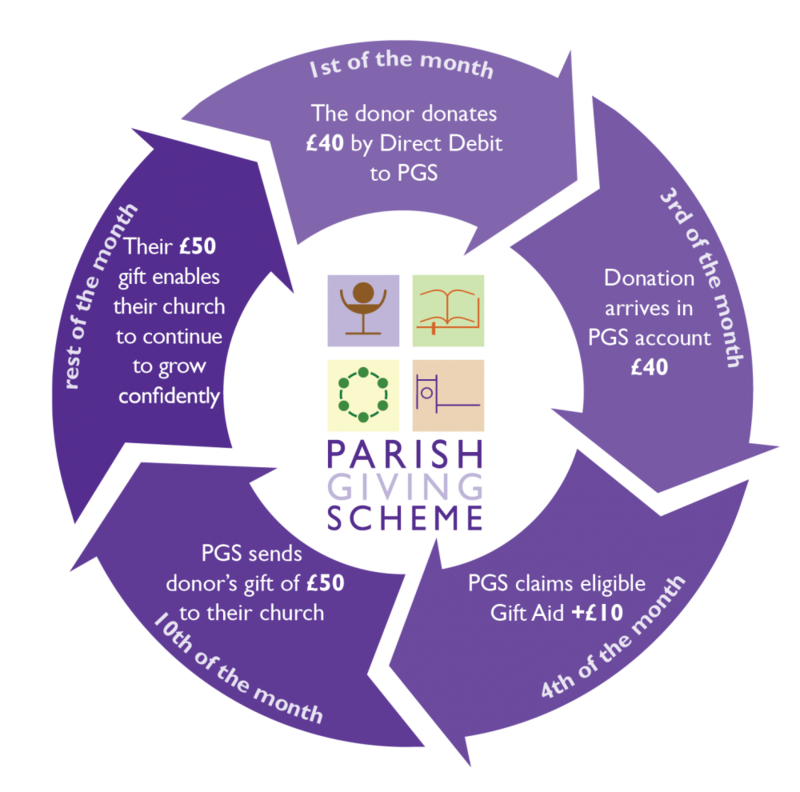 The aim of PGS is to replace the current methods of giving via standing order and cash envelopes with donations being collected on behalf of the parish by PGS using Direct Debits. These can be on a monthly, quarterly or annual basis. All donations are held specifically on behalf of St Andrew’s and the scheme is guaranteed as being safe by the Direct Debit Guarantee provided by all UK banks. This means that Direct Debits are in fact a safer method of payment than standing orders or cheques. For the Parish, PGS vastly reduces administration, ensures that all records are accurate and meet current HMRC requirements and are held securely and confidentially outside the parish. Importantly, PGS removes the need for us to submit manual claims for Gift Aid as the PGS returns the Gift Aid due to us directly into our bank account monthly within 10 days. This will have a significantly positive impact on the our cash flow. For donors, PGS is EASY to set up, EFFICIENT, SECURE and CONFIDENTIAL. There is a direct UK telephone number for PGS should you need to speak to them or amend your payments. Follow this link to see answers to some Frequently Asked Questions. The clergy, Churchwardens and PCC fully endorse the PGS and would encourage everyone to move on to the new scheme. If you are currently a member of our Planned Giving system and pay by standing order or envelope, a pack containing a letter and full details of the PGS together with the necessary singing up forms is available from our Treasurer, Stephen Youngs. You can contact him via the 'Contact Us' page on this web site.